Whether you’re facing retirement—or looking to better understand certain investment ideas— Fortune Financial and Insurance can help you address your most pressing money questions. We are a family business that is dedicated to serving our community. Our site is filled with educational videos, articles, presentations, and calculators designed to help you learn more about the world of personal finance. As you search my website, send me a note regarding any questions you may have about any particular investment concepts. We'll get back to you quickly with a thoughtful answer. Below you will find a few areas of interest. When it comes to your personal finances it is essential to have an Advisor that you trust. I am a Certified Financial Planner that is dedicated to helping my clients make educated decisions about their financial future. Making decisions about investments and wealth management without the proper evaluation can have serious impact on the probability of meeting your future goals. Aligning your goals to the proper risk tolerance is an essential foundation to any investor. As a Retirement Income Certified Professional, my focus is on helping clients meet their essential income needs. Having a spending plan in place and budgeting assets can reduce the chances of out living ones money. Most retirees will rely on social security as their primary source of retirement income. It is important to understand how a 401(k), 403(b) and IRAs can help supplement a person in retirements income. Understanding what types of insurance are available and beneficial to a retiree can help protect a family's assets. Utilizing Long Term Care Insurance, Life Insurance, and Medicare Advantage or Medicare Supplement Policies may help provide comfort to an individual. Risk management may help an individual protect their assets in the event of a health crisis. The key to a successful financial future is a proactive strategy of investing. This task can seem daunting and that is why I try to provide clear information when it comes to investing. Understanding the difference between a Stocks, Bonds, Mutual Funds, and ETFs and how they work is a must. I can help you make sense of the investment world. Annuities can be confusing. What is the difference between a Fixed Annuity and a Fixed Indexed Annuity? What are the benefits of a Variable Annuity and what risks do they present? What is a tax deferred investment and how would that benefit an investor? Investment options are virtually limitless. Understanding how each investment works and how they may fit into your portfolio is key. Some conversations are difficult to have. We all know planning for the future is important, but it is common to put off difficult questions about what would happen in the event of an unexpected accident or death. Having a proper plan in place can help to alleviate some of the stress that occurs during these unpleasant events. Families all to often struggle to cope with the passing of loved. The tension that arises while settling an estate has been known to tear families apart. With the help from attorney, having the proper documents drafted ahead of time will reduce some of the stress of difficult circumstances. Keep your will and beneficiary designations up to date. Have your legal power of attorney, healthcare proxy, living will and advanced directives spelled out. Make sure members of your family know where to find these documents in the event they are needed. 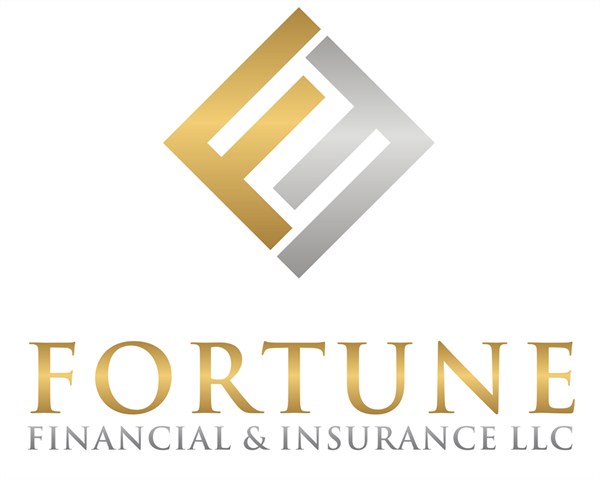 With Fortune Financial and Insurance at your side, you can rest easy knowing you that you have planned for the future and started working towards your goals.